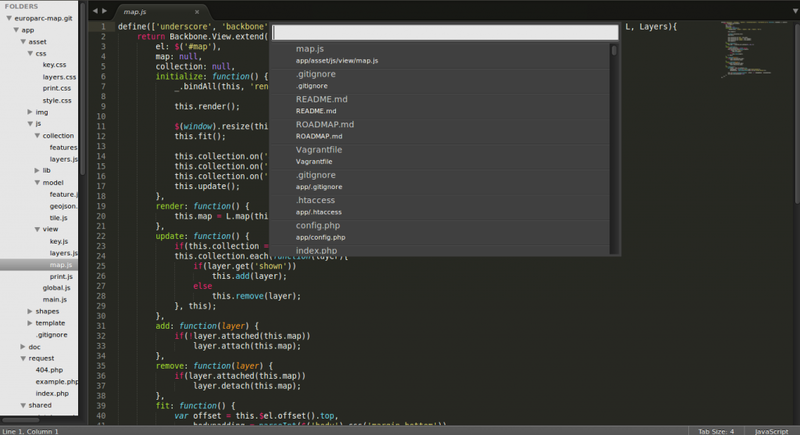 Sublime 3 – YOU want this editor! Let’s face it: being a geoscientist and writing code goes hand in hand in recent times. Most programs have their own code editor like MatLab with its m-file generator or R with its handy version of RStudio. But when it comes to webmapping and direct code writing in an open environment you are mostly sticked to a certain editor which has some syntax higlighting and maybe a syntax checker like Notepad++, kate, textwrangler or Sublime.